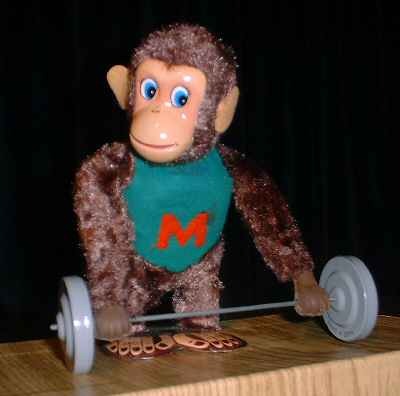 This monkey is very strong. Wind him upand he will lift the heavy weights. He is made in fur and metal and comes from Japan.